So I've been quite inspired lately to do something other than just creatures and characters (which is what I mainly do during my day job) and work on some environment concepts. AND when I do get to do environment concepts in my day job it always has to have that Greek feel to it. 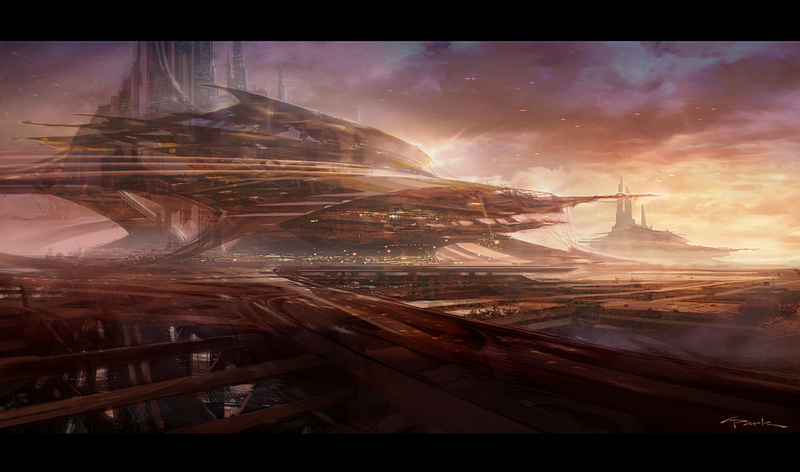 So these are just some personal environment concept paintings I came up with while playing around in a sci-fi world. I had a ton of fun with these and I do. This was done in Photoshop in about 5 hours.